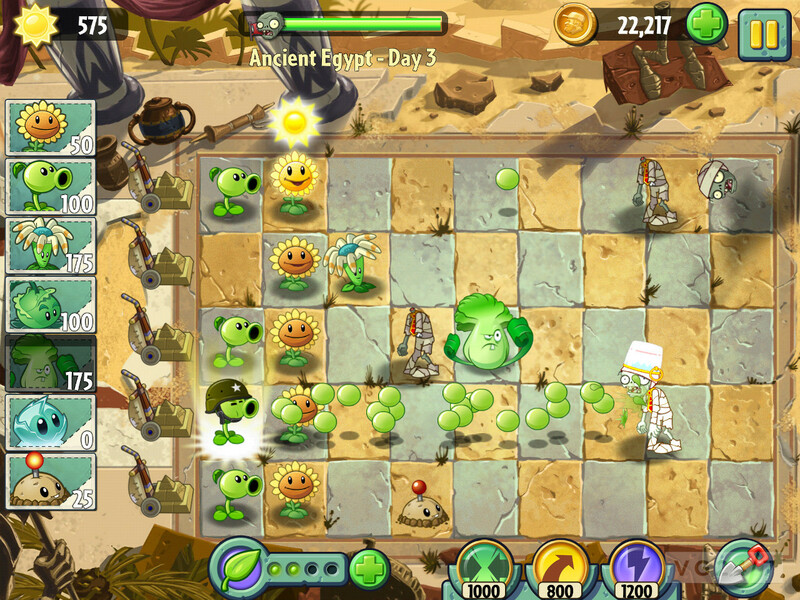 Finally and quite ironically titled Plants vs. Zombies 2: It's About Time was released a couple of days ago. It quickly shot up to be number one on iTunes Free Apps. Yes, it's free to download. Taking up the model of so many games now. It's free to download but the in-game items will drain your wallet dry if you're not careful. The titled doesn't just refered to it's 3 years gap in release from its predecessor but of the time spanning journey Dave and his now souped up car takes you. I won't give a full review yet as I've only just touched on the first world which is Ancient Egypt and a little of the Pirates stage. My initial impressions was that the graphics and colors seems off. Not as bright as the first one. The game play is mostly the same but with new elements added with new plants and new zombies. The biggest change would have to be their coin system. It is strictly for the 3 power ups before that allows you to pinch, toss or zap away zombies in a few seconds. 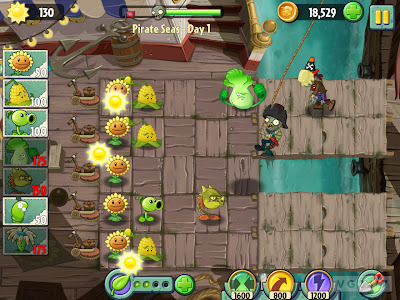 With unlocking upgrades and new plants now, you'll have to either pay with real money on iTunes or unlock them via game play. But it is definitely possible to unlock all without paying a cent. Thus far I'm enjoying it. I'll give a full review when I complete most of the game including tips and strategies. Have you tried the new Plants vs. Zombies 2: It's About Time? What are your thoughts on the game?